Cap, (who is experts in the automotive industry and has been trusted by the motor trade for more than 30 years) has predicted new car sales to exceed 2.6m in 2015, making it the biggest year on record. They also predict that next year could be even higher. So far this year, 2,453,426 cars have been registered which is an increase of 2% over the same period last year. How does this effect Business? The problem we find as vehicle MOT testers, service providers and repairers is that our overall business can be affected by an increase in new car sales. Our turnover was up 7.4 % over the first two thirds of 2015, but unfortunately the final third of this year is on target to be down by more than 5.6%. When you take into consideration a general increase in parts costs over the year which has worked out to be 3%, and include a general increase in overheads across the board, overall it is going to prove to be a very tough year indeed. Because we send out MOT reminders to all our customers, we have had the ability to notice a change in the market over the last few months. After studying those customers who have not turned up with their vehicles for an MOT we have concluded that quite a few of them have decided to finally change their vehicle. This knock on effect to us is that many customers whose vehicles MOT was due during September, October and November have not booked in simply because they no longer have that vehicle. This means that we will probably not see them for probably 3 years. The important thing to remember for anybody who has recently purchased a new vehicle is that you can get your vehicle serviced anywhere and this will not invalidate the manufacturer’s warranty, as long as it is serviced to the Manufacturers recommended schedule. 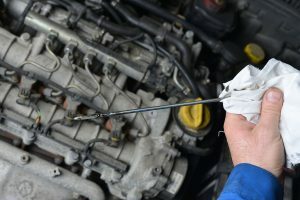 The ‘Office of Fair Trading’ stated following action taken in 2004 that all major makes of new cars in the UK are sold without servicing ties as part of their warranties.